We'll work closely with your management team for effective planning of scheduling and installation . We can provide engineering and detailed shop drawings to assist with project development. CWW fabricates the majority of the panels we furnish. 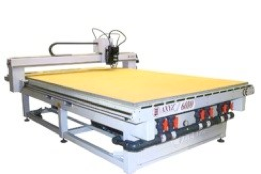 Our CNC router allows accurate and consistent fabrication without manufacturing delays. CWW confirms jobsite conditions prior to fabrication to verify dimensional conformity with approved shop drawings. If required, size adjustment can be made minimizing the effects caused by unexpected construction tolerance problems which normally would require re-fabrication, incurring you additional cost and project delay. CWW provides standard or custom color 4mm panel as manufactured by Alucobond, Alpolic or Reynobond utilizing a wet seal, rout and return system. Aluminum composite panel can be flat, segmented or curved, including soffit, canopy roof, beam wraps or columns; all with various configurations.